Home > Life with Dogs > Dog Training > Territorial Aggression and How to Work Through it. 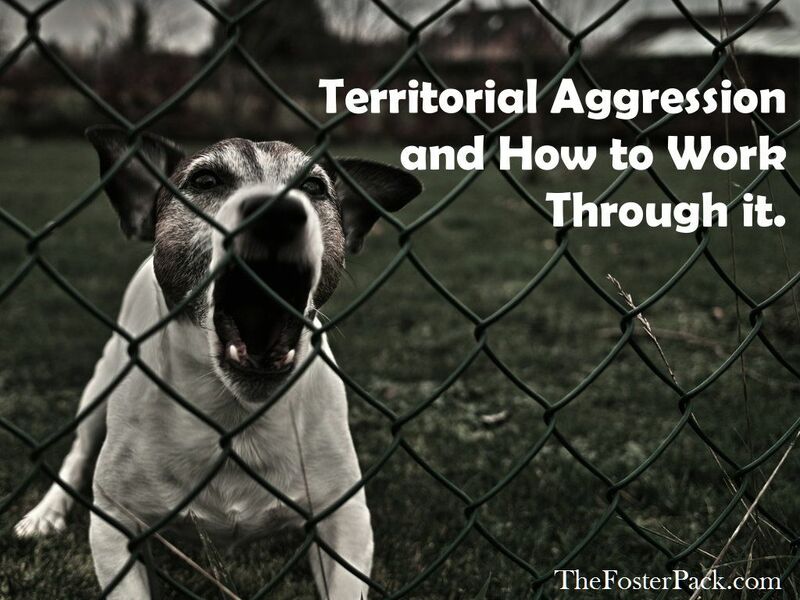 Territorial Aggression and How to Work Through it. Territorial Aggression and Working Through it. If any of our dogs could be classified as having territorial aggression, it would be Chewy Lewis. Although he’s much better than he was when we first got him, nearly ten years ago, he’s not a big fan of strange men. So, any man that he doesn’t see daily. Especially men in ball caps. So he doesn’t really like them coming onto our property. But his territorial aggression never progresses beyond barking. Which is usually enough to make people stop where they are. He may weigh only 23 pounds, but he can put on a scary show. They don’t call the Finnish Spitz the king of the barkers for nothing. They can bark. But let one of his human family members step outside, and he’s more likely to hide behind us than to go after someone. He just enjoys putting on a show. Territorial aggression is common in dogs. Dogs are territorial animals. They want to protect what they deem to be their property. Just like with resource guarding, but on a much larger scale, as the resource they’re guarding is most likely the house, yard or vehicles. Most dogs bark when a stranger comes to the door. And for most people that’s okay. I actually expect my dogs to bark when they hear someone pulling in. They’ve been encouraged to do it. But only to a point. My office is at the far end of the house from the driveway, and I can’t hear vehicles pulling in. We also have no windows, save a frosted glass one in the master bathroom, on that side of the house. So my dogs are trained to alert me to visitors before they get to the porch. That way I can put away any new fosters that haven’t been trained to greet visitors yet. Or to put away jumpy, barky puppies, so that I can hear what the people are saying. With Chewy, since his aggression is limited to excessive barking, we’ve managed his territorial aggression with our fence. Although it encompasses nearly five acres, it does not include the driveway, walkway or front porch. So he pretty much just runs the line barking at visitors, until someone goes out to see who’s here. If a man does happen to enter the fenced area, he usually runs to the back door and scratches and whines to be let in. He’s all show. Territorial aggression only becomes a problem when it becomes excessive, or when a dog progresses beyond just barking a warning. This is often seen in under-socialized dogs, and ranges in to fear based aggression also. Early socialization is best for preventing territorial aggression. Puppies should be taught how to greet visitors calmly, by having to sit a receive a reward as guests enter the house. But for some of us, our dogs are past the point of early socialization when we get them. Working with an adult dog on greeting visitors calmly can help, if their territorial aggression hasn’t progressed beyond barking. If you can’t get your dog trained to wait calmly and patiently when guests arrive, it might be best to remove him from the vicinity. Putting him in his crate or a dog safe room, until the guests leave, may be your best option. Keep working with him on greeting visitors calmly, with dog friendly guests. An effort should also be made to prevent ongoing territorial aggressive behavior both inside and outside of the home. Try to redirect his attention, in a positive way, when people approach. So not along pacing and barking along fence lines, or at windows. You may have to cover windows, and only allow him to be outside when supervised, and possibly leashed, for a while. But if you keep working with him, it’ll be worth it in the long run. Using a Desensitization and Counter Conditioning program, such as we talked about for fear aggressive dogs, will help your dog to get used to strangers approaching. Start with a low level of stimulation, such as people walking near the road, or driving up in a car but not getting out and not approaching the house, and work up to having them knock on the door and come in. You want to get your dog to the point that he knows that guests arriving means he gets a reward, a treat and some attention usually works. Do not punish your dog. Yelling, scolding, startling, or physical punishments may cause serious long term side effects. Such as increasing aggression due to fear and anxiety. If you make him think that new people showing up causes him to get punished. He’s not going to like visitors, ever. It can also cause your dog to decrease his warning signs, growling and barking, and jump right to physical aggression. If barking is the only form of aggression your dogs shows, teaching him a “Quiet” command should help stop it. Resource Guarding Aggression, and How to Deal with it.